Area Appliance services Buffalo Grove and Arlington Heights, IL and is the #1 resource for repairing your broken and/or damaged dishwashers. We service home and apartment dishwashers. Our BEST repairmen in the area provide pristine, quality appliance repair to get your dishwasher back into like–new working order. Call now, (847) 459-8070 and speak to a LIVE representative. Our website is friendly for tablets, computers and smart phones in case you are always on the go. We’ll also answer your queries online or you can schedule an appointment. Not only is Area Appliance Service fast and affordable, but we also stand behind our work 100%. Let’s face it, dishwashers are an expensive luxury in today’s kitchen. 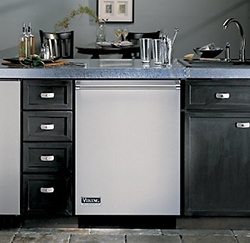 We at Area Appliance Service offer a Warranty on ALL appliance parts and labor services for up to 12 months. If for any reason you are unhappy with the dishwasher repair, made within our warranty and guarantee time frame, call us back immediately and we will gladly fix the problem. Customer satisfaction is guaranteed with all dishwasher repairs. We stand behind our company’s work and have done so for over 5 decades. Family operated with professionally trained technicians that are straight from the manufacturers. Also, EPA licensed, bonded, and insured. The dishwasher does not clean well. My dishwasher buttons do not work properly. Dishwasher lights are flashing or blinking. My dishwasher appliance is leaking. The dishwasher is leaking from motor area. The dishwasher will not turn on. Dishwasher door will not latch. My dishwasher dispenser doesn’t work right. The dishwasher isn’t filling with water. The dishwasher is making loud noises. My dishwasher won't dry the dishes. 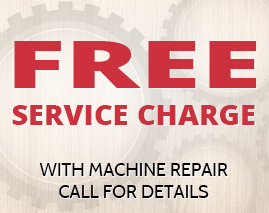 Schedule Service for Your Dishwasher Today! We offer same day emergency repair service to better fit your busy schedule, so downtime is at a minimum and convenience is at a maximum! Maintaining and repairing ALL major dishwasher brands (but not limited to) GE, Kenmore, Amana, Maytag, Samsung, LG, and Whirlpool. Our trucks are stocked and loaded to get your dishwasher repaired immediately, affordably, and with the least amount of intrusion.